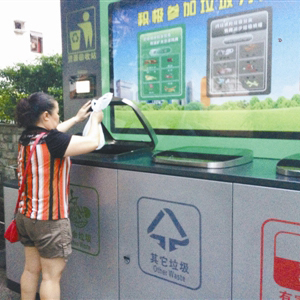 A number of intelligent garbage collecting machines were introduced in three residential estates in Yantian District on a trial run last month, combining garbage classification with online data calculations. 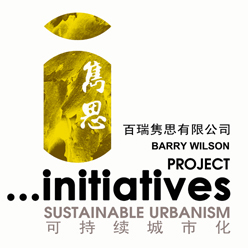 The machines were developed and are operated by the Shenzhen Division Environmental Engineering Co. Ltd., under the supervision of the city’s urban management bureau. It classifies garbage into recyclable, harmful, kitchen and other waste. Garbage bags with QR codes are handed out to residents for free in the residential estates, and the machines will record and calculate the collection of refuse by scanning the codes and then uploading the data into its cloud system for summarizing. Residents can log onto their personal accounts via the system’s official WeChat account and check their records of garbage classification. The company will send small gifts, such as tissues and towels, to users based on their participation during the trial month. “We are getting used to sorting garbage at home for disposal,” said Jiang, a resident in Shanquan residential estate where the machines were installed. She added that the trashcans are neater than before, because people used to put all the refuse together, making the area smelly and messy. The cleaner of the area, a cleaner, surnamed Cheng, said fewer rats were seen after the machines were put into service. “But some people still fail to classify the rubbish correctly,” Cheng said, adding that she had to re-sort the garbage from the machines every day. Eleven other residential estates in Yantian District will have these machines installed on a trial run in the next few months, said Chen Kai, a program manager of the company. “The residents’ participation rate is over 74 percent in the three trial estates,” Chen said, adding that the company would further disseminate the idea of garbage classification by hosting trainings and lectures. “Even if we win the bid, we still have the problem of finding enough funding,” Chen said, adding that the cost of one machine is up to 100,000 yuan (US$16,110).